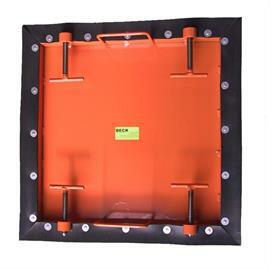 Locking plates prevent building debris or even tools from falling into the channel. Likewise, glasses, mobile phones, cigarettes, car keys are also effectively restrained. 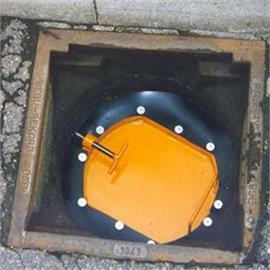 Locking plate for shafts with an internal diameter of approx. 625 mm. Locking plate for shafts with an internal diameter of approx. 350 mm. 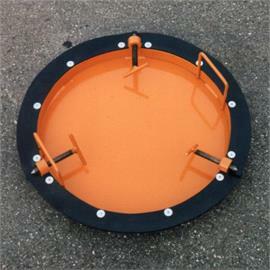 Locking plate for shafts with an internal diameter of approx. 700 mm. Locking plate for shafts with an internal diameter of approx. 800 mm.